The five month period of May to October 1940 was pivotal in determining whether Britain would fall to Germany from the massive air assault by the Luftwaffe in preparation for a pending invasion. Many books have been written about the Battle of Britain as it is one of the four most important military victories in British history, the other three being: the Armada, Trafalgar, and Waterloo. 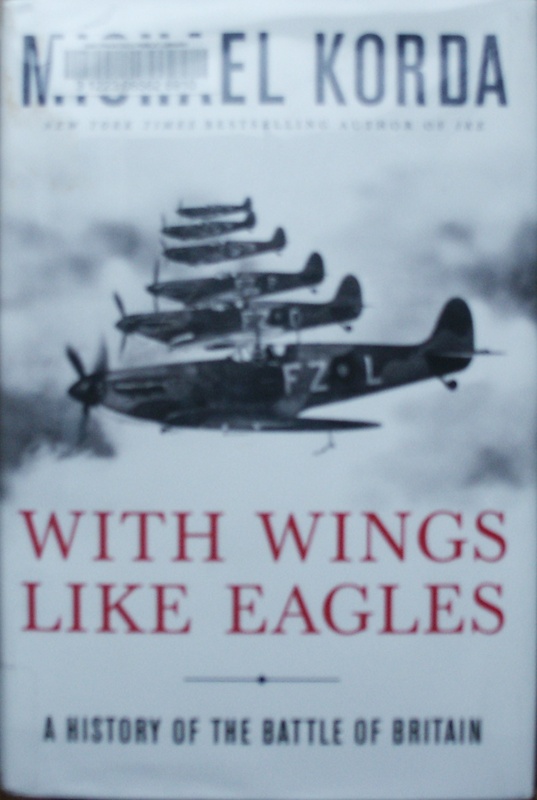 In Michael Korda’s account of the Battle of Britain, he credits one man, Sir Hugh Dowding, ‘Air Officer Commanding-in-Chief of RAF Fighter Command’, as making the deciding difference. Korda tells the story with two prevailing themes: The first is the critical difference that saved World War II. The second theme is the unappreciated hero. These themes are far from unique in war histories (“Alan Turing: The Enigma”, for example). As the architect of the Fighter Command, Dowding correctly foresaw how the coming air battle would play out, and what was needed in terms of technology, number of aircraft, strategy, and organization, to win it. He fought British politicians and The Royal Air Force experts who believed that bombers, not fighters were the key to winning, along with other mistaken ideas. He argued with Churchill over money, strategy, and distribution of resources. In the end, he was proven right with his forecasts and successful in building The Fighter Command just in time to defend Britain against the Luftwaffe. Churchill resented being wrong on issues in which he differed with Dowding (as did others) and as a result, he didn’t even mention Dowding in his famous book; “Their Finest Hour”, published in 1949. After the critical part of the air battle for Britain was won, his enemies conspired with Churchill, to remove him from his position and he was given minor posts until he retired in 1942. Among the innovative components Dowding assembled into a defense system were a comprehensive radar network, two state of the art fighter designs built in adequate number, an underground centralized command center where radar signals could be interpreted and the information disseminated to sectors and squadron leaders, and the use of small groups of fighters that could respond to attacks quickly as opposed to large wing formations. Some of the success that the British had, was owing to mistakes made by the Germans. Goering, in charge of the Luftwaffe, waited too long after the defeat of the British at Dunkirk to attack them, thus allowing them to complete their defenses. The Germans also lacked good intelligence which lead them to bomb the wrong targets. They bombed London by mistake which lead the Brits to bomb Berlin with a small force in retaliation. This caused the Germans to shift their focus off the fighter fields and military targets to bomb London in further retaliation. The shift to bombing civilians allowed the British to rebuild and sustain their military infrastructure and increased the sympathy and support of the United States. The failure to neutralize Fighter Command ultimately cost Hitler the opportunity of invading Britain before the fall/winter storm season. After 1940, Germany became preoccupied with Russia, eliminating any further possibility of invading Britain. I found this book exciting and informative for its multi-tiered drama (British vs. Germans and Dowding vs. Churchill and others), the details of technological innovation of aircraft, radar, etc., and the day by day chain of events which led to the final outcome.